Service learning at NIST has undergone a transformation over the past year and a half, shifting to an immersive approach that places students in impoverished communities and sees them working alongside locals to identify and solve developmental needs. First applied through the student-run Maeramit Development Group, this approach is now being extended to other areas. 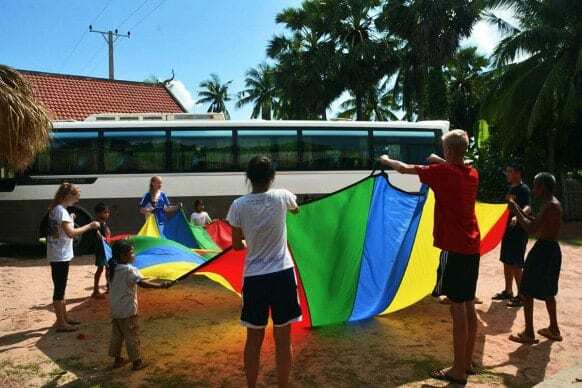 At the beginning of October a group of 22 year 12 students and four teachers ventured to the rural village of Knapor, Cambodia, near the town of Siem Reap. Over the course of four days, they immersed themselves in the village’s daily life, conducting a comprehensive needs analysis and developing their own skills in development strategies. Staying with local families in their homes, the students acquired a greater understanding of the village’s unique situation and fostered empathy for the people’s needs. 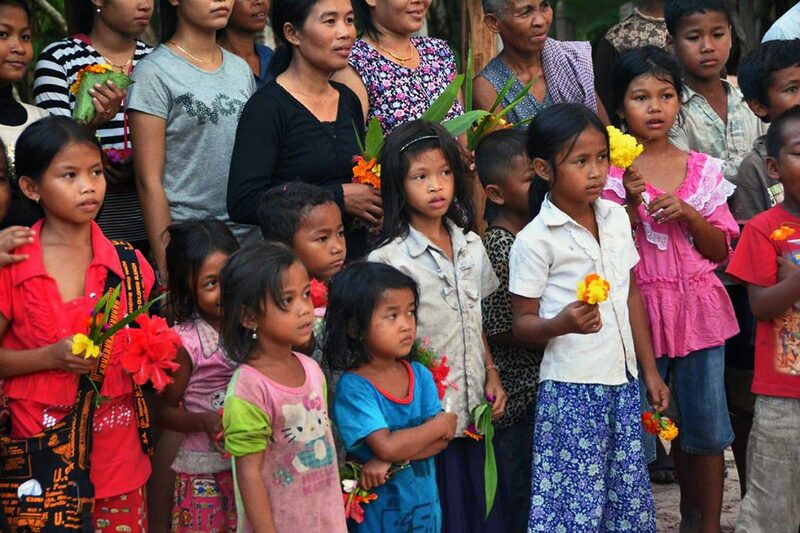 This natural connection was most apparent in the relationships they built with the village children, as they organized games, played informally and taught them nursery rhymes in English. 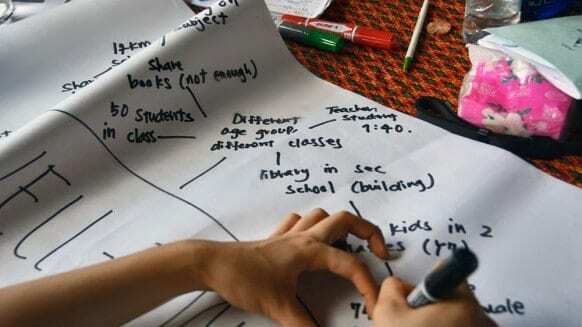 Working with the adults, the NIST students employed differing needs analysis techniques, carrying out community mapping, learning daily routines and creating seasonal routine calendars, compiling an asset inventory, interviewing villagers, and facilitating a session with village leaders in order to prioritize identified developmental needs. This approach extended the programme far beyond charity or community service, allowing the students develop a deep bond with the locals and apply creative solutions in a real-life context. After a final meeting with the village leaders, both the students and village leaders agreed that education was the most pressing issue, and most of the projects that will be carried out during return visits will be based on this. Through the ranking, they were able to create a list of two long-term and several short-term goals. The long-term goals include opening a kindergarten or childhood education centre, and setting up a fair trade project between the Bangkok free trade fair and a craft factory near the village. Short-term goals include providing scholarships, school supplies, mosquito nets and bicycles as transportation for students. With their first journey to Knapor complete, the NIST community will now be working to make these goals a reality, positively impacting the lives of the villagers and opening new opportunities for them. Equally important, it continues to transform our own perspectives, connecting us to others and inspiring us to make a difference in their lives. The trip was amazing and really made me think about the values in life. The trip really helped to put into perspective that happiness does not come with money. No electricity, transportation, advanced medical care or running water: the only thing they still ask for is education. The most moving moment of the trip was when a woman was telling us about growing up with 10 brothers and sisters and how she never had enough to eat. She began crying and could not continue speaking. I realized that while we will never be able to change her past through our work at least she had someone to listen to her and empathize, which is more than a lot of people ever have. Being able to interact with the people from the community really made the trip memorable and motivated me to want to be able to make a difference.